Habanos s.a. presents the new Montecristo Media Corona (44 ring gauge x 90 mm length), a new vitola (size) that is incorporated into the regular portfolio of the brand in its LÃ­nea ClÃ¡sica, which is launched to the market in a presentation of a Semi BoÃ®te Nature with 25Habanos . Montecristo Media Corona, which will begin to arrive to the worldwide outlets in the coming days, offers to the smoker all the flavor of Montecristo, with its traditional medium to full flavor, suitable for a short smoking time. 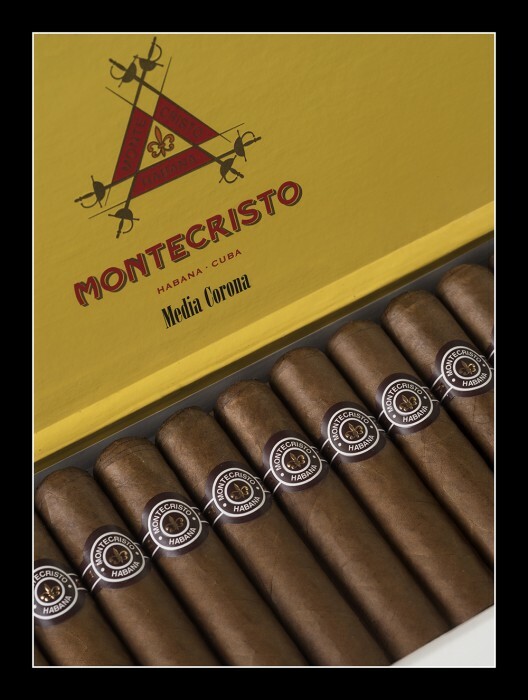 Montecristo Media Corona is characterized by the traditional flavor of the LÃ­nea ClÃ¡sica of Montecristo and an excellent draw with a 44 ring gauge, more powerful because of its short length. Its natural brownwrapper of red touches gives it a beautiful presence.